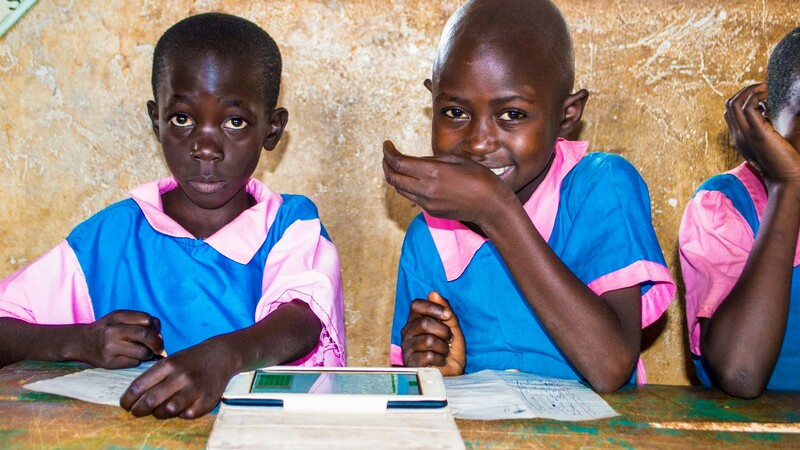 Through the use of tablets and servers loaded with quality education materials from sources such as One Billion and Rachel Plus, we have been able to work with over 1000 primary in Wekhonye Primary School, Trans Nzoia County Kenya. The world celebrates 51st International Literacy day today; 8th September 2017. Here at African Maths Initiative our determination has remained firm in the improvement of the quality of education and literacy across all academic levels. We are living in fast changing times today. For this reason, the adoption of new and innovative methods of teaching has been one of the principles that we have adopted here at African Maths Initiative. The celebratory banner by UNESCO for this year’s celebration is Literacy in a Digital World. Digital technologies have the ability to transform health, communication, education, trade etc. Thus, inadequate digital skills and lack of access to technology can limit the opportunities to millions of people across the world. This is one of the challenges that we have been taking heads on through initiatives targeting learners in all academic levels. I will highlight a few areas that we are working on and are aimed at promoting literacy through the use of technology. 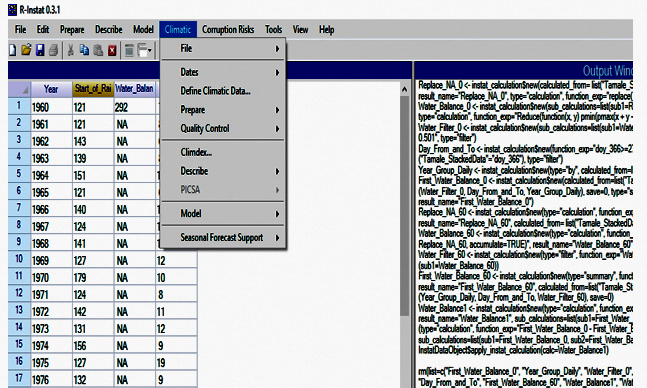 Since late 2015, a team of fresh undergraduates from Kenyan Universities have been working hard to develop a Statistical Software in a project dubbed African Data Initiative. We are happy with the progress that we have achieved so far. We recently launched the software during 61st ISI World Statistics Congress in Marrakech, Morocco in July 2017. R-Instat , the new software is now freely available, simple and easy to use and the process to encourage good statistical practice in schools and universities has already began! R-Instat, the new software is now freely available, simple and easy to use and the process to encourage good statistical practice in schools and universities has already began! 2017 has also seen us work hard to promote numeracy and literacy in primary schools using technology. We have already spent one year working with a rural community in Trans Nzoia County, Western Kenya in a project dubbed Digital Communities Initiative. Through the use of tablets and servers loaded with quality education materials from sources such as One Billion and Rachel Plus, we have been able to work with over 1000 primary and secondary students in this community as well as train teachers on ICT integration in teaching and learning. This project took cognizant of the fact that if we invest in quality education during early stages it will aid in later academic and work life. 2017 has also seen us hold Maths Camps in Tanzania, Ghana, Ethiopia, Kenya and UK. Maths camps are week long annual events that bring together high school students, researchers, volunteers and teachers and introduce them to co-curricular based Mathematics. This has been led by the fact that mathematics remains critical in the economic development of our nations. Through these camps we have been able to impart skills in critical thinking, creativity and problem solving using a wide range of Maths related co-curricular based mathematical activities in areas such as Programming, Geometry, Statistics, Research and Card games. Most of these thematic areas have borrowed immensely from technology. For example while introducing high school students to research they get to solve real-life challenges by conducting research that relies on digital data collection, analyzing data and visualizing results using software such as R-Instat. 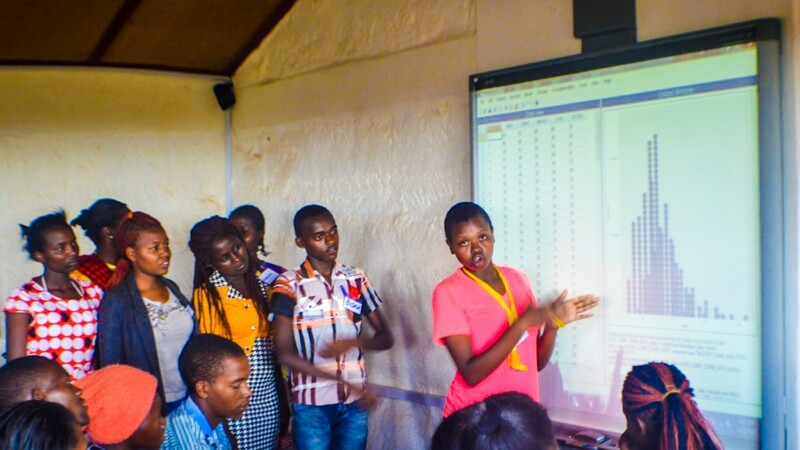 High School students making a presentation of their findings after analysing data using R-Instat during Lewa Maths Camp 2017. It would be impossible to highlight everything that we have done to promote the use of technology in learning but you can learn more about what we do here and probably find ways that you support us in this important journey.